It's Thursday and time for the next episode in the Table Top biweekly series hosted by Star Trek's Wil Wheaton on Felicia Day's Channel Geek and Sundry. Today it's the co-operative game Pandemic. Can the latest diseases plaguing the entire world be cured in time? Let's watch to see if Wil and his guests: Ed Brubaker (writer: Captain America, etc), Robert Gifford (founder: Geek Chic), Morgan Webb (host: X-Play) are up to the task of eradicating all the diseases as the outbreaks increase. 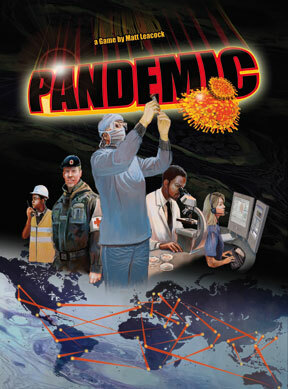 You will find Pandemic and it's expansion On The Brink in stock and available here at Off The Charts Games. You can also read our game write-up by clicking here on Game Profile: Pandemic. Continue to tune in here for more Table Top episodes!